Winter is upon us and with it comes cold, dark mornings that make it hard to get out of bed every morning. Imagine dragging yourself out of your warm bed into the shower, only to have cold water spray down on you. It’s a great way to wake you up, but not the most comfortable experience. We are a East St. Louis Plumber, dedicated to helping you to enjoy hot showers once again. 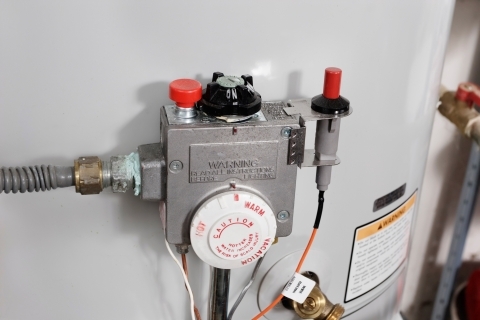 Your water heater is one of most important parts of your home. We understand how important hot water is, especially is in the winter. We offer some spectacular deals on brand new water heaters and we can even repair the one that you already have. Are you considering a space saving, tankless water heater? We can help you to save $250 on your new tankless water heater! You could also save $75 on a traditional water heater. For more information on how you could save money on your water heater check out our Coupons & Promotions. You don’t have to suffer through the winter with lukewarm water. You can save money on a brand new water heater that will keep your showers hot and relaxing. Call us today to schedule your free estimation.